I am in a love hate relationship with Socom right now. I love the gameplay but I absolutely hate all the server problems they are having. Everyone’s consoles are locking up intermittently, people are being dropped out of rooms. 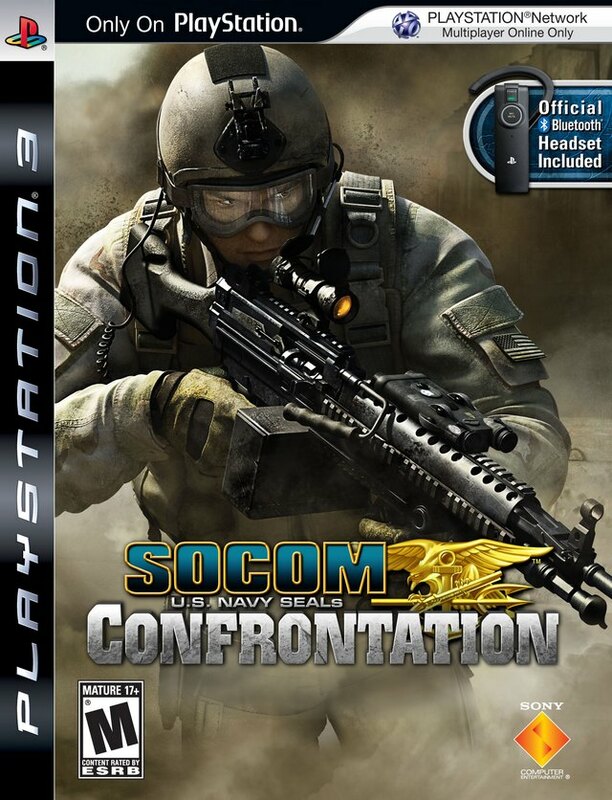 My biggest gripe would have to be how hard it is to hook up with your friends online playing Socom. 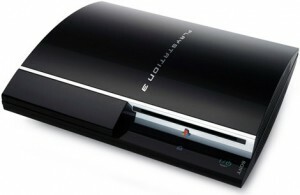 The online portion of the Playstation 3 has always been the biggest thing lacking. You get what you pay for, nothing I guess since it’s free. I wish they would just cave in already and put together an online experience comparable to Xbox 360 and charge for it if they have to. Then they would have a very well rounded gaming system, until then they will always be plaing second fiddle to the 360. That’s just my opinion I could be wrong, not! 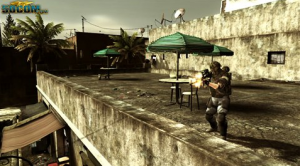 I started playing Socom: U.S. Navy Seals Confrontation a couple of days ago. I have to tell you this is the first title I have really enjoyed playing on the PS3. I was pretty bent out of shape with my PlayStation 3 just sitting there collecting dust ever since I purchased it at launch. I would play a game here and there but never really enjoyed the games, game play or the funky controller. I even prefer this over Call of Duty 4 my all time favorite title on the Xbox 360. Don't Count The PS3 Out Yet! We’ll today I picked up my second game I felt worthy enough to play on a PS3, MotorStorm. I have always had a problem with the titles available for the PS3 and my biggest gripe was with the online playability of their titles. What I mean by that is that it is impossible to follow your friends around by what they are currently playing, unless you are playing the same title and have your friend listed in your buddy list for that particular game. Sony’s lack of a global friends list, as is available in Microsoft’s Xbox live is what has crippled the unit. I also thought this is what would put the final nail in Sony’s PS3s coffin. Wow, I never thought I would have received the attention I did for the PS3 rant that I wrote. I basically wrote it to vent my frustration I was having with my new PS3. Kotaku picked up my rant because they were having similar problems. From there it was picked up by a couple of other sites and then someone submitted it to Digg. It went front page on Digg in about an hour and then all hell broke loose. I was getting about 100 unique visitors every minute or so. After all was said and done I had over 50,000 hits to my site. I have heard a lot about the Digg effect taking down sites. I have to thank 1and1.com, which is my hosting company. My site never buckled under the strain of the quick increased traffic. For those that commented on Digg about the story. I am in no means a Microsoft fan-boy. I just call it like I see it. I own all three systems the Xbox360, PS3 and the Wii. The 360 thus far is my favorite and the Wii is a blast to play. Rayman: Raving Rabbids is by far my favorite thus far on the Wii console. Exactly .. that stuff is enough to warrant it’s first year of existence without any good games. What the hell was Sony thinking when they released the PS3? Did they really think they had a superior product compared to the Xbox 360? Remember last year when Kazuo Hirai, President/CEO of Sony made the comment that the Xbox 360 was actually Xbox 1.5? I guess in those terms the PS3 is actually Playstation 2.1. Here is a company that had an entire year to watch what its competition (Microsoft) was doing and doing right. Besides having the right mix of hardware for its console, Microsoft also had a beautiful well thought out interface (Blades). To top that off their way of building a community of gamers through its Live service is top notch. One place to interact with all your friends and online acquaintances. Through Live you can message, voice/video chat, see what all your buddies are playing and easily join them or send them an invite to a game you are playing. Network capability came after the PS2 was launched and always felt like an after thought to any online game that was written for it. Where as the 360 was built around the network capabilities of the unit. You would think that Sony would have figured out that this is what made the 360 what it is today. Either the designers/developers have never played with a 360 or just don’t get the online multiplayer community at all. Multiplayer online once again takes the back seat on the PS3. I was surprised to see how basic and archaic their online multiplayer interface was or better yet complete lack of it. What I mean is if I play with someone in one game and enjoy playing with him and add him to my buddy list it is only good for that one game title. I cannot find that user in another game title. Better yet from the main menu I can’t find any buddies what so ever. Get a clue already, I hope they are getting bashed in the head over this by other consumers enough for them to stand up and make the necessary modifications to their system to allow buddies to be seen in any game title as well as the main interface.